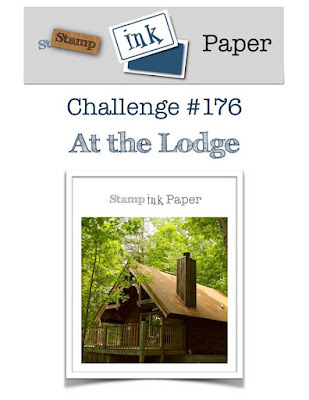 Welcome to this week's themed challenge at Stamp Ink Paper "At the Lodge"
I've chosen to make a Wintery scene Christmas card for this challenge. I've combined some old and new products here. The stamp set is retired and is called Happy Scenes and the dies used are the Stitched Seasons and Snowfall thinlits. The cardstock I've used is Whisper White, Tranquil Tide, Dazzling diamond Glimmer plaper, White Velvet Sheet and Daisy Delight Dsp. Here's a closer look. Thanks so much for joining us this week at Stamp Ink Paper. 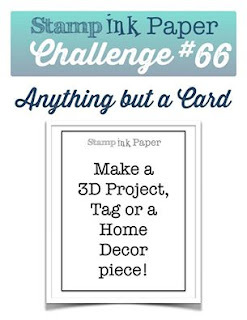 We hope you will play along with this fun themed challenge.